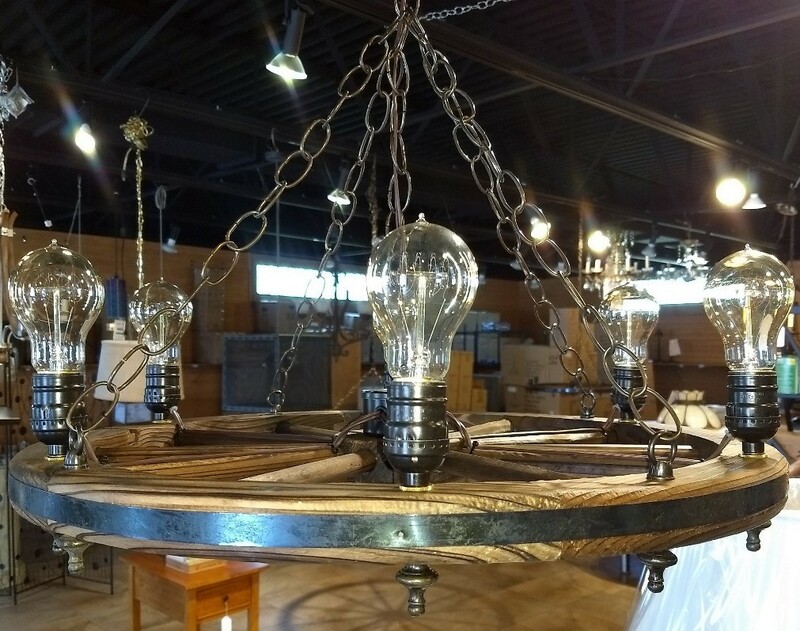 Includes historically accurate vintage style Edison bulbs that emit a warm cozy light, incandescent or LED. 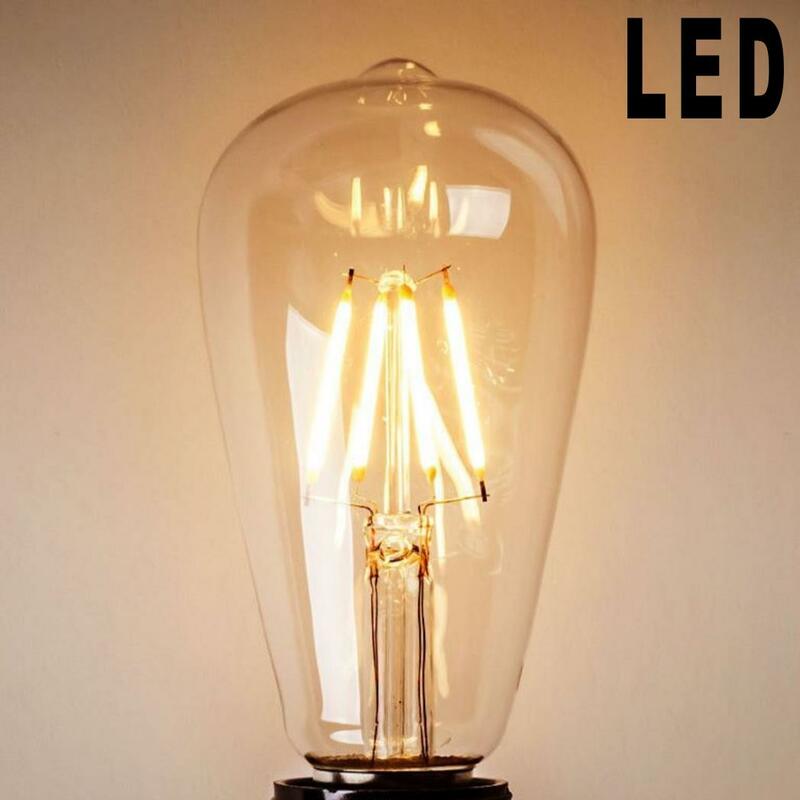 Uses easy to find standard medium Edison E26 base bulbs. 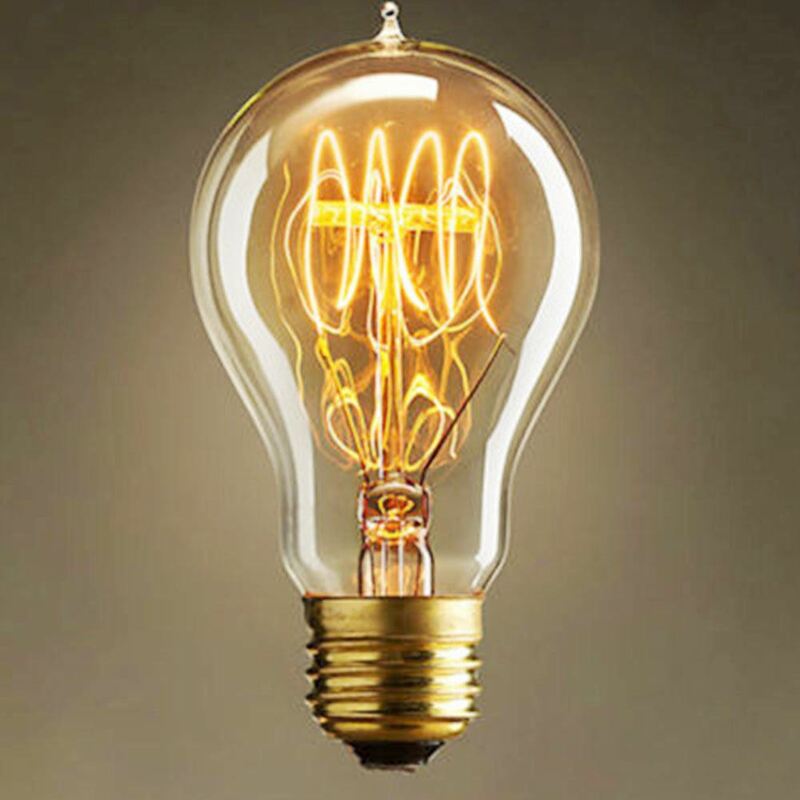 Extra bulbs are available at low prices. 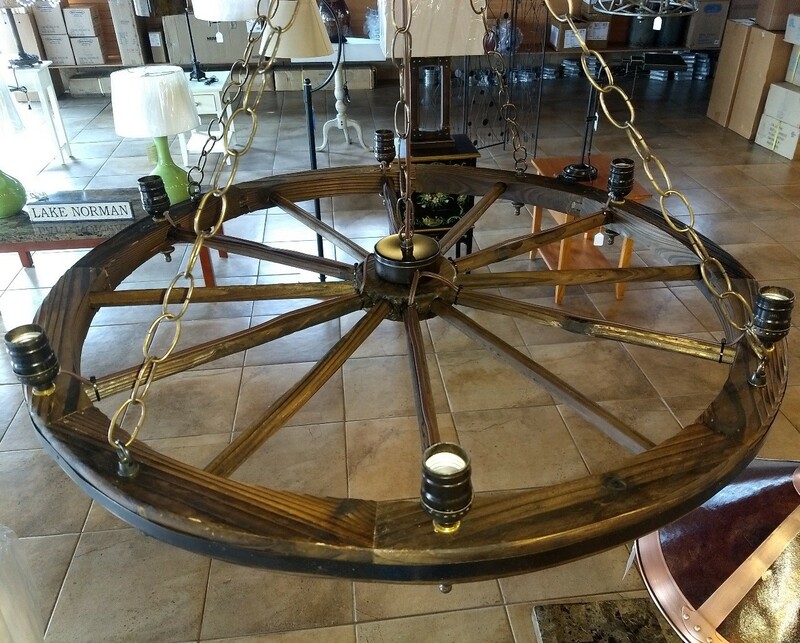 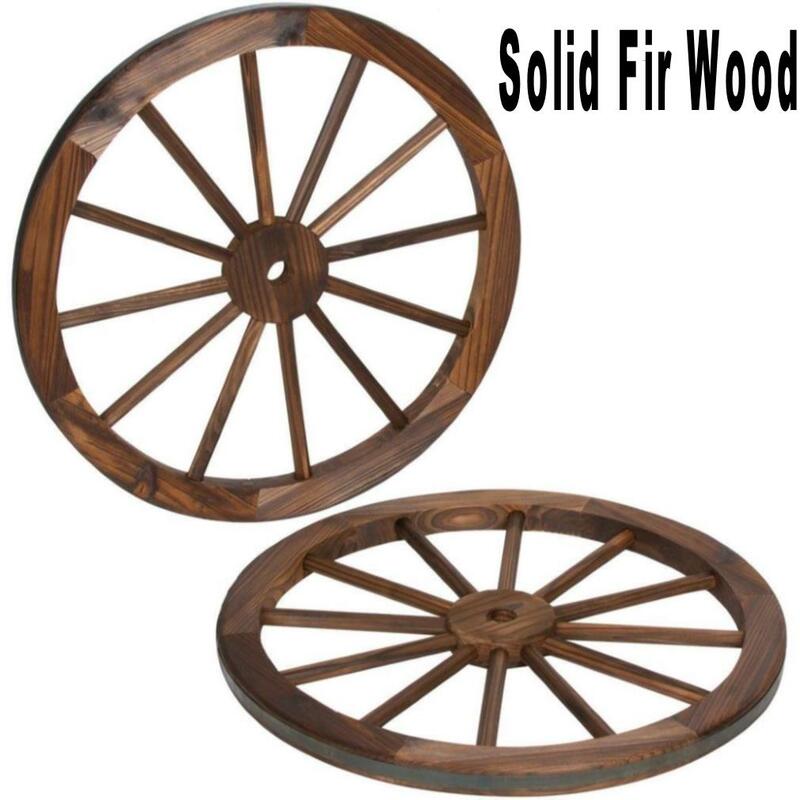 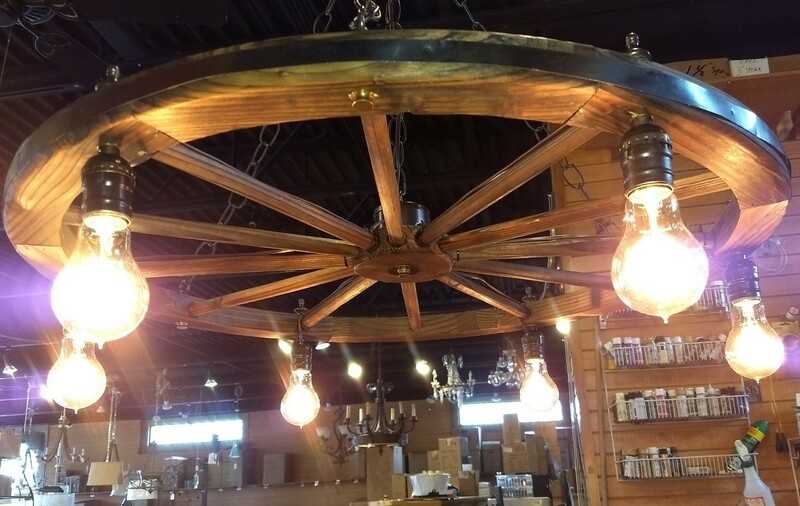 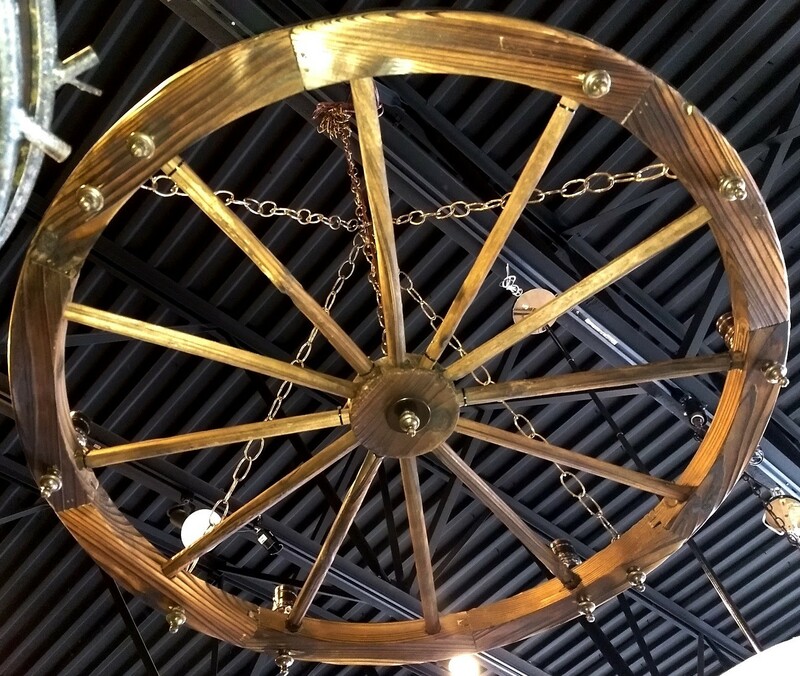 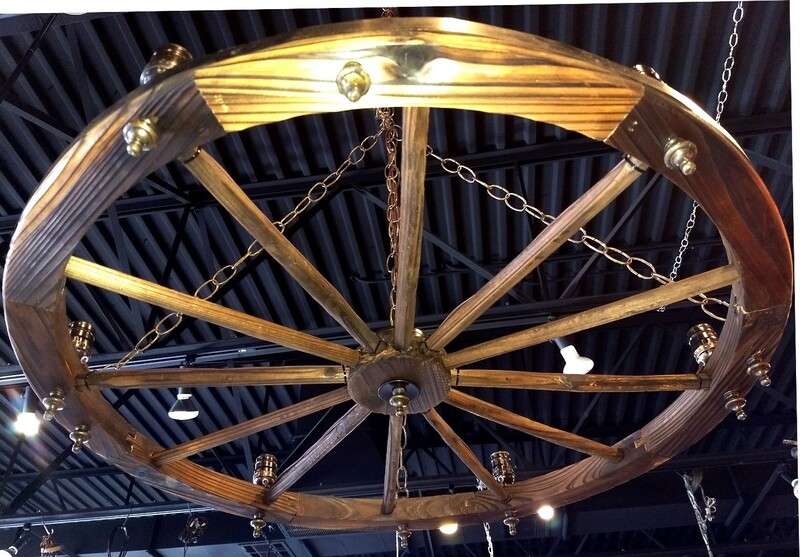 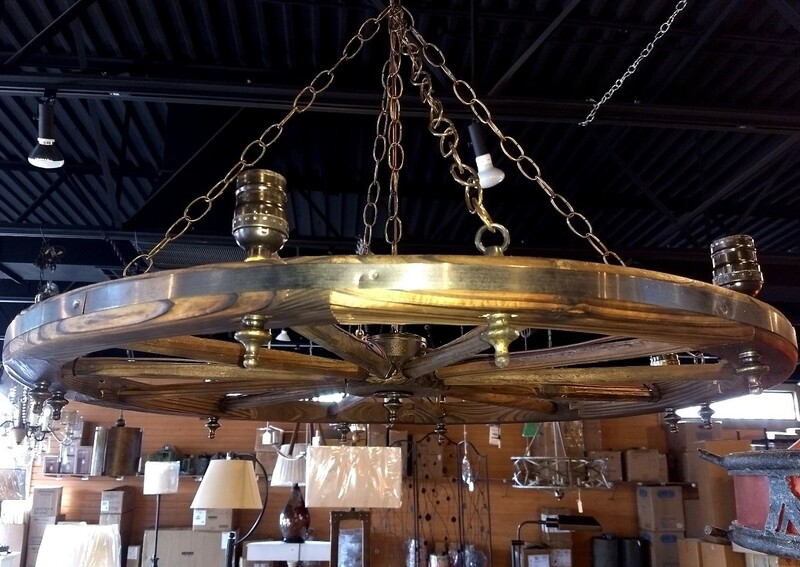 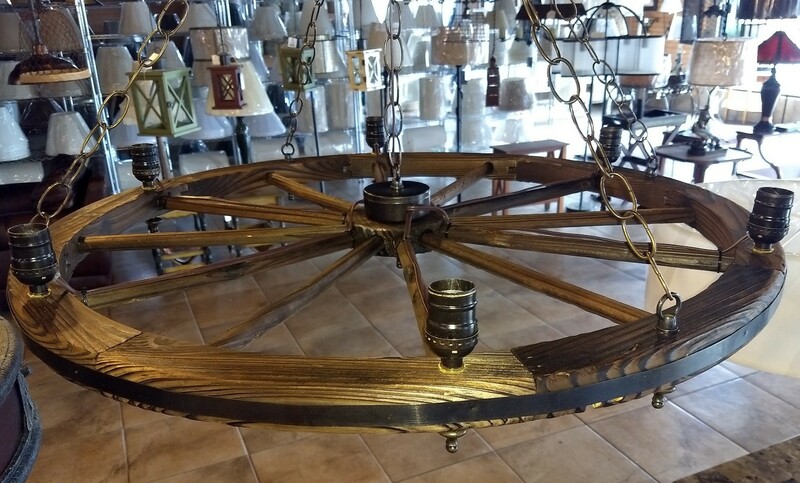 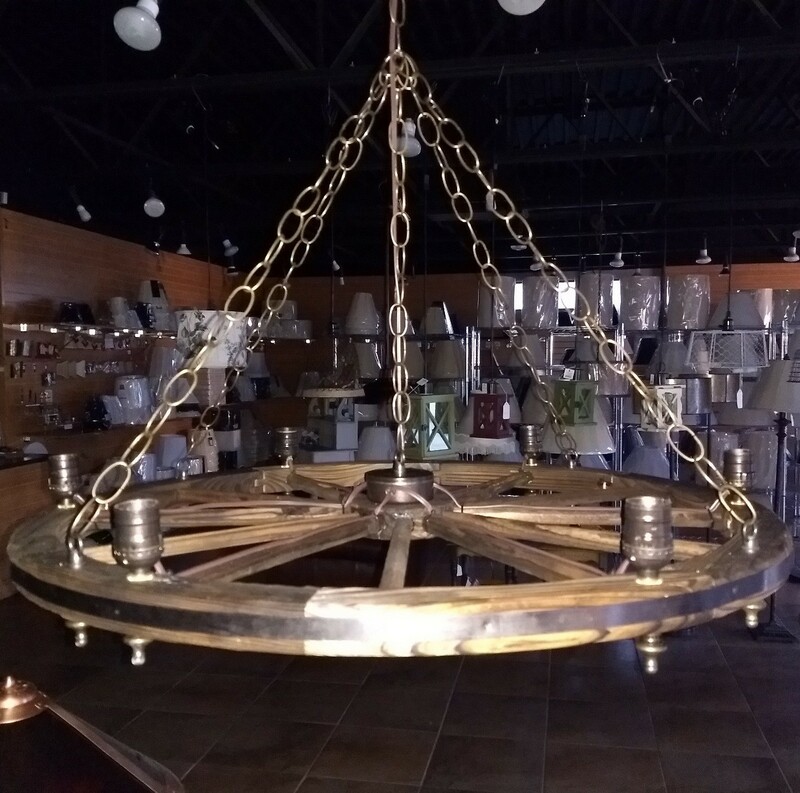 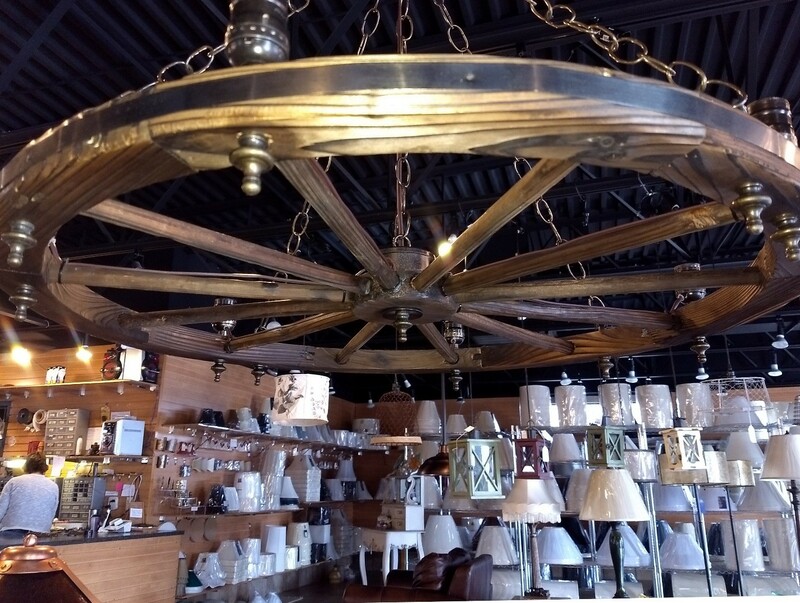 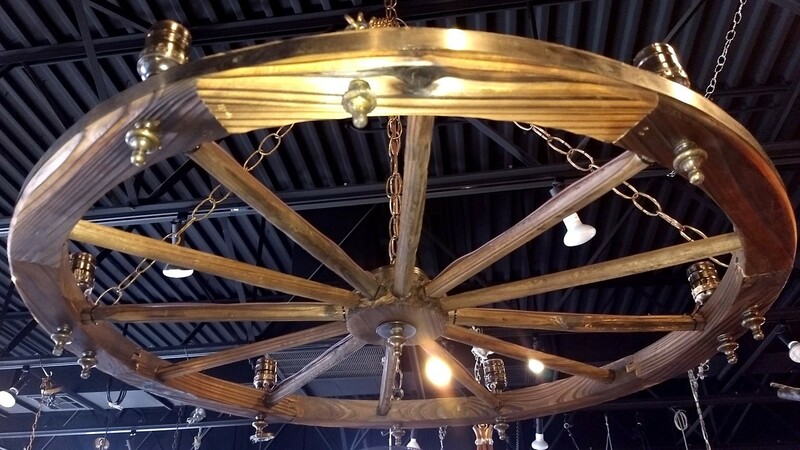 Imagine this authentic looking wood wagon wheel chandelier/swag lamp in your log cabin, lodge, country home or ranch house. 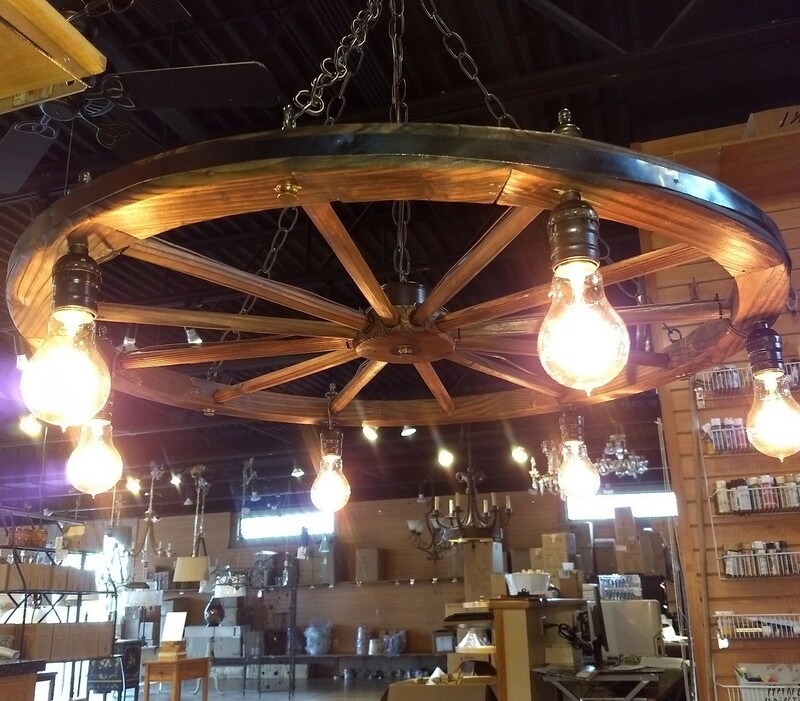 It is rugged rustic and bold and promises to bring plenty of down home character to the dining room, living area, den or anyplace that you wish. 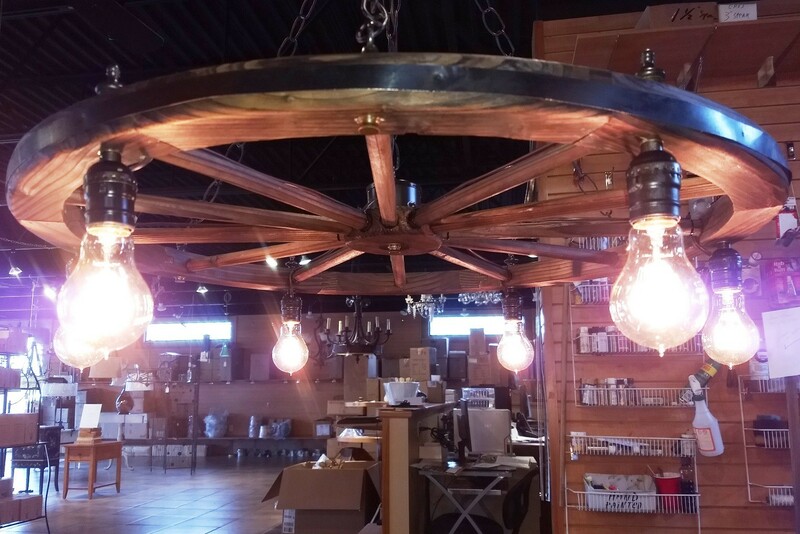 Works perfectly in the kitchen, dining, breakfast, game room and work area. 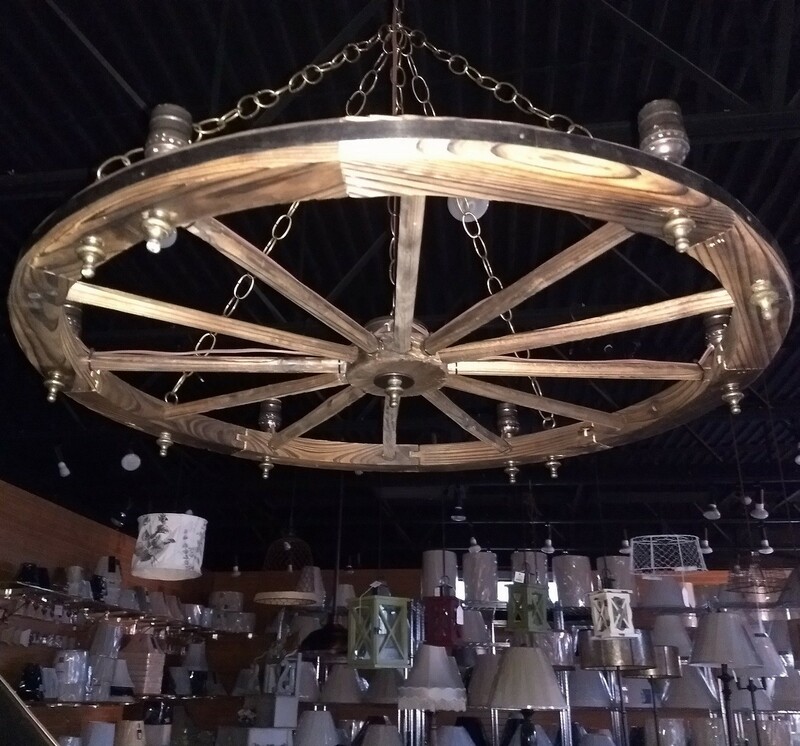 Versatile color fits most home decor and four sizes 24-32" wide fit average to large spaces. 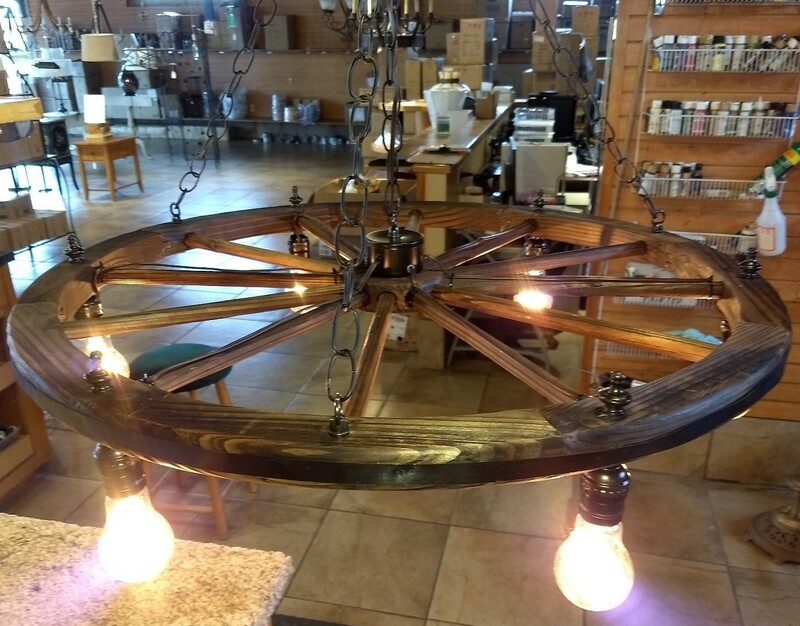 Tired of cloned mass produced cookie cutter lighting ? 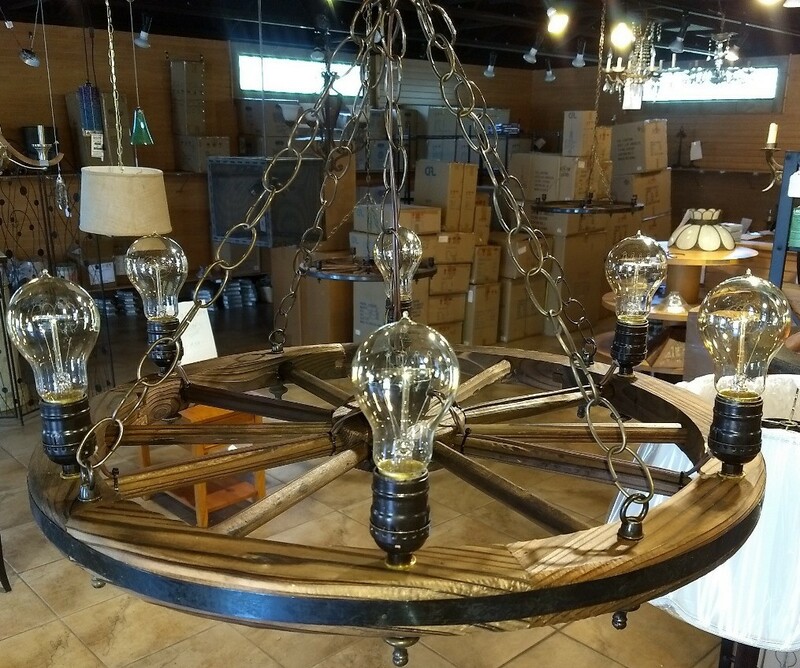 Buy unique limited editions and 1 of a kind lights direct from the maker in the lovely North Carolina foothills.